On the 4th of March, government Minister for Education and Skills, Joe McHugh T.D., announced a third year of funding under Project Ireland 2040. €50 million will be made available to support the embedding of ICT infrastructure in primary and post primary schools across the country. 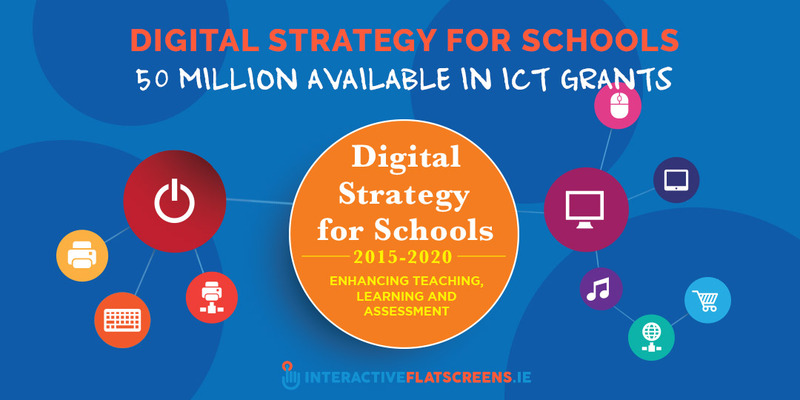 This takes the total spend on the digital strategy for schools ICT Infrastructure Fund to €110 million. The grants will be allocated through a standard lump sum and additional per capita sums based on the size of the school. At primary level, the grant is worth in the region of €5,900 for a 100 pupil school and €22,000 for a 500 pupil school. At post primary, a 500 student school can receive a grant of almost €27,000 and a 1,000 student school can receive €52,000. 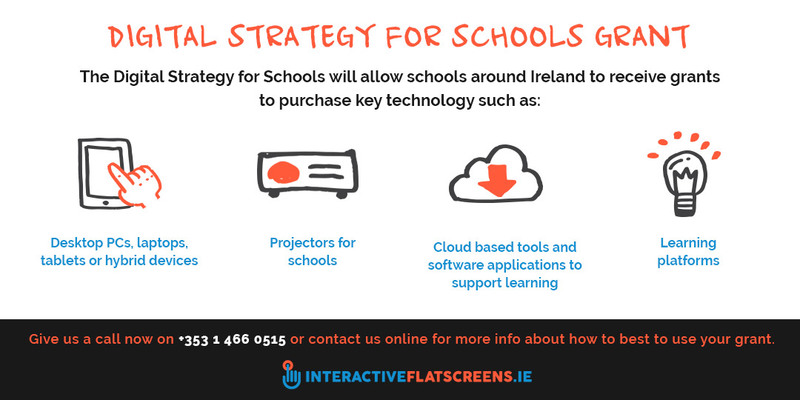 Here at InteractiveFlatScreens.ie and ToomeyAV, we are pleased with this news as ICT for schools is very much our province. Our interactive flat screens are at the forefront of technological innovation in digital learning and we look forward to supplying schools with these powerful devices as they spend their grants. We are genuinely proud to play a part in the transformation of the classroom into an ICT driven, digital environment. Our interactive flat screens will make learning easier and more engaging and will help pupils to prepare for employment in a rapidly evolving workplace where IT skills are becoming essential. The IT industry in Ireland is still booming and schools need to ready students for IT training in order to supply the industry with workers. We hope to play a part in producing a generation of smart, digital savvy young people who will take to ICT driven environments with ease. 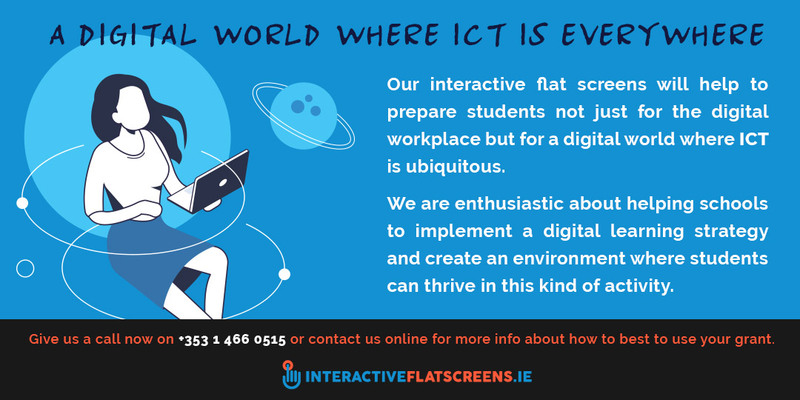 Our interactive flat screens will help to prepare them not just for the digital workplace but for a digital world where ICT is ubiquitous. We are enthusiastic about helping schools to implement a digital learning strategy and create an environment where students can thrive in this kind of activity. Give us a call now on +353 1 466 0515 or contact us online for more info about how to best to use your grant.